Sails seem to be of good appearance. Transom shower as well as head / shower combination. It is nice to step aboard a boat where everything is in the right place, looks maintained, and looks in order. This is one such boat. 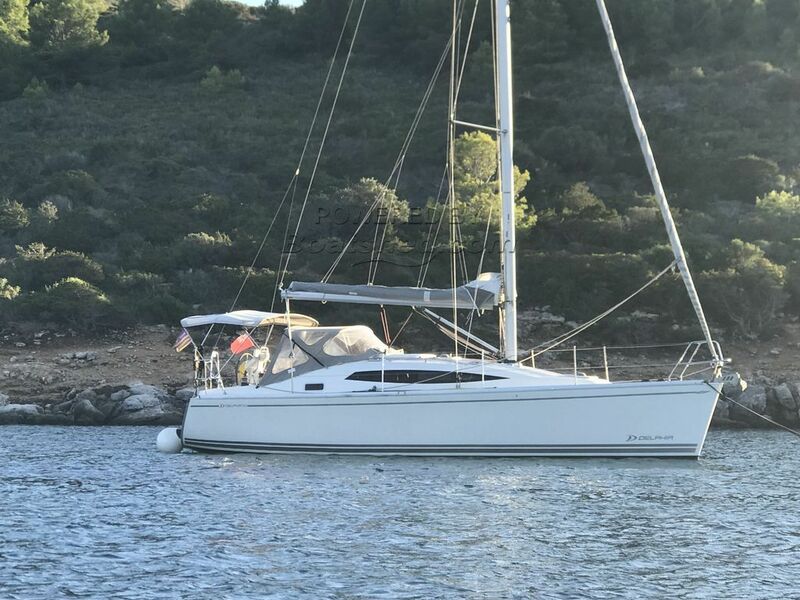 Rather lightly used, and with a great spec, this boat could take you around the Baleares, and very much further. Slab - reefed main, cabin heating, nearly new outboard (one hour only run! ), and a nice tender. These and many more features add up to a splendid package. Delphia have been making fine yachts since 1990, and have now built over 25,000 boats, for themselves, and other quality brands. This Delphia 33.3 Fixed Keel Version has been personally photographed and viewed by Rory Gillard of Boatshed Palma. Click here for contact details.